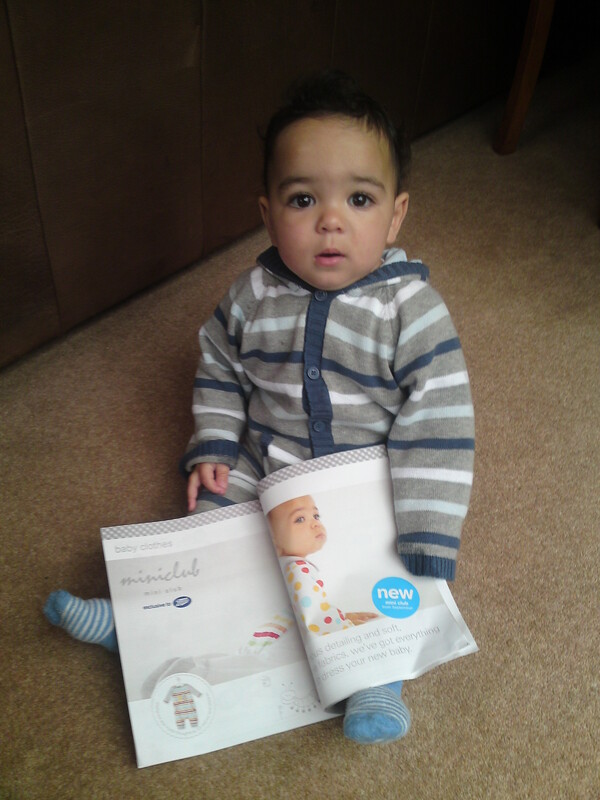 The new Mini Club range will be out in Boots stores from 1st September but that doesn’t stop Otis from admiring himself in the catalogue already! Watch out for A LOT of Urban Angels in store, on the website and in the catalogue. This entry was posted on Monday, August 23rd, 2010 at 4:55 pm	and is filed under Catalogue, In Store, On Line. You can follow any responses to this entry through the RSS 2.0 feed. Both comments and pings are currently closed.